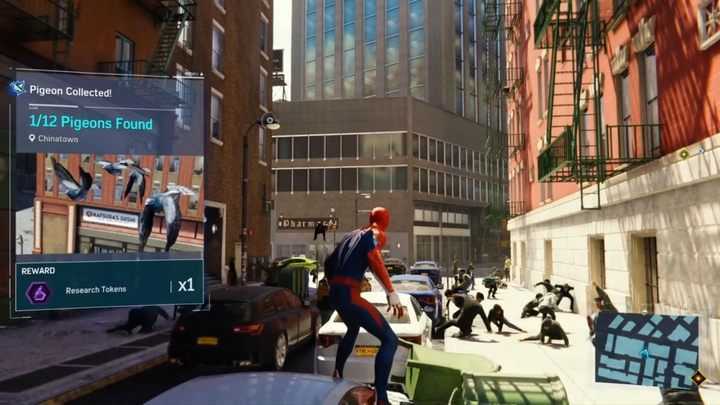 In Marvel’s Spider-Man, New York is full of criminals who are planning to commit various crimes. After the game’s prologue, you’ll have access to a list of vocal police messages. These include reports of further crimes in the area. 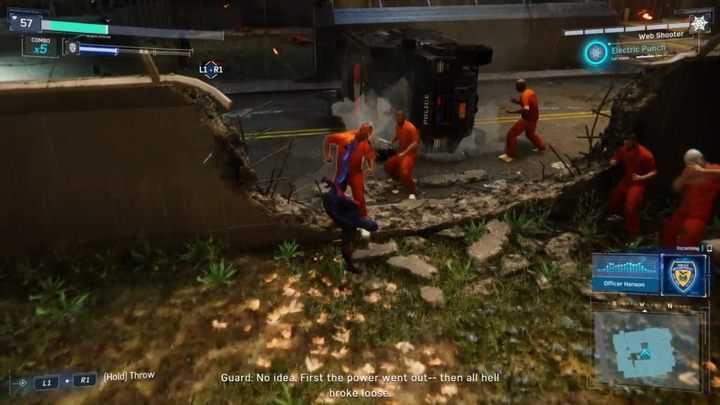 You can go to the crime scene and take part in a short mission to stop the villains. 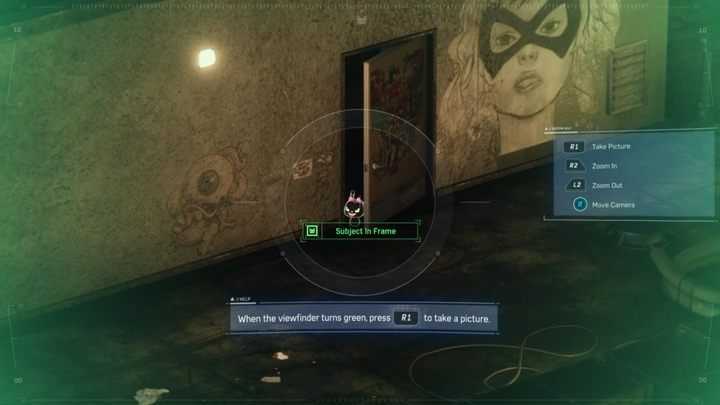 Crimes are quite unique side activities in the game – they are not directly marked on the map. You have to stay in the district for a while and listen to the police messages, and only then a red marking will appear on the map. Go there and you will start a randomly selected task. 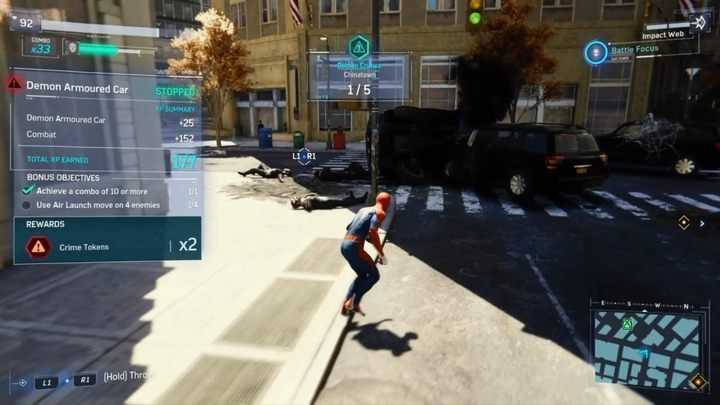 There are quite a lot of missions based on a crime – usually you have to defeat the bandits, but there are also car chases or giving aid to the injured. Each task has side targets – it’s worth doing them to get more tokens, which can be used for crafting and upgrade purposes. The number of crimes is infinite, and the events generate quite quickly. It’s worth to do them on a regular basis, and if you think about maxing the game to 100% – don’t leave them to the very end. It’s best to begin them in short breaks from the main storyline. Bomb Challenge. 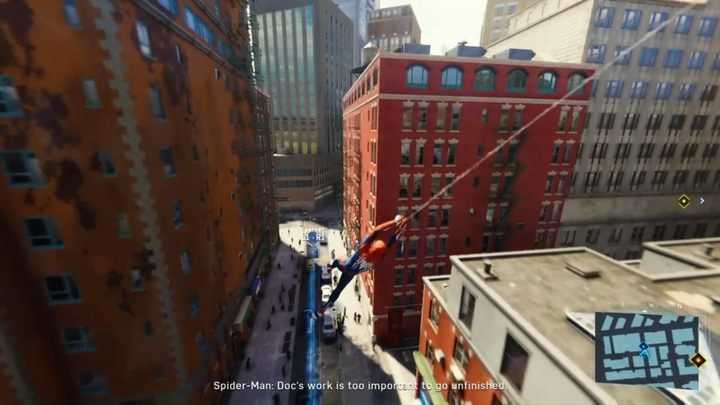 You will have very little time to reach a few bombs, grab them with the help of a web and detonate them in the air. Quite a difficult challenge to get gold, you have to be extremely fast and precise. Drone Challenge. You have to follow the drone, which will leave a beam and special rims behind. You have to fly through them in order to score more points – this type of challenge is really difficult, because it requires learning the route practically by heart. Combat Challenge. A typical fight with a specific group of enemies. Taskmaster scores your fighting style, your health and the speed at which you defeat other enemies. Sneak Challenge. Your task is to neutralize a certain number of enemies without being detected. Quite a pleasant challenge, which in my opinion is the easiest to complete. Taking part in Taskmaster’s challenges gets you a challenge tokens – extra tokens are awarded when you can do better in a given task. The plus is that you don’t have to do everything for the highest score, because for each next level you will get more tokens, for the first level – one, for the second – two, and for the third – three tokens. A total of 6 tokens can be rewarded if you do your best. Challenge tokens are the most difficult to get in the whole game, and what’s worse – you really need a lot of them in order to create some cool suits or improve your gadgets. Every Super Hero is not afraid of any challenges and… from time to time he has to take on such simple tasks as chasing a pigeon. 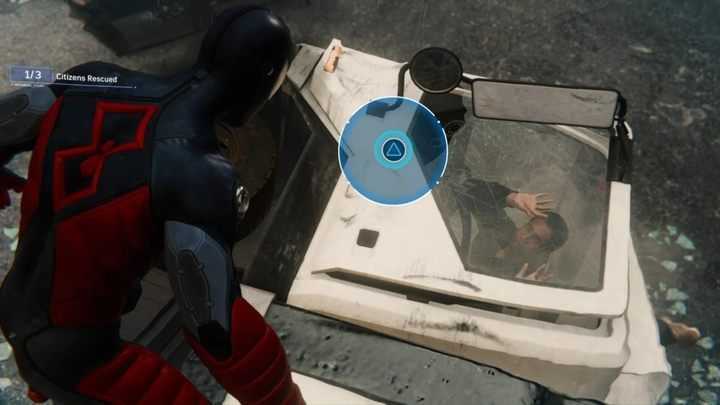 In Marvel’s Spider-Man you’ll encounter a side mission “Helping Howard”, which unlocks the possibility of tracking and catching missing birds. Pigeons are marked on the map – just reach them and they will start to run away. Your task is to chase them with the help of your web, which is not that easy as it looks. The birds are fast, maneuverable and often change their flight path. Luckily, the game makes it a little easier to chase them – the pigeons leave a long blue trail behind them, which makes it easy to track them. It is best to stick to a high position and gradually gain speed. When you are as close as possible to the bird, start dropping – when you are close to the pigeon, press L1+R1 to attract and catch it. 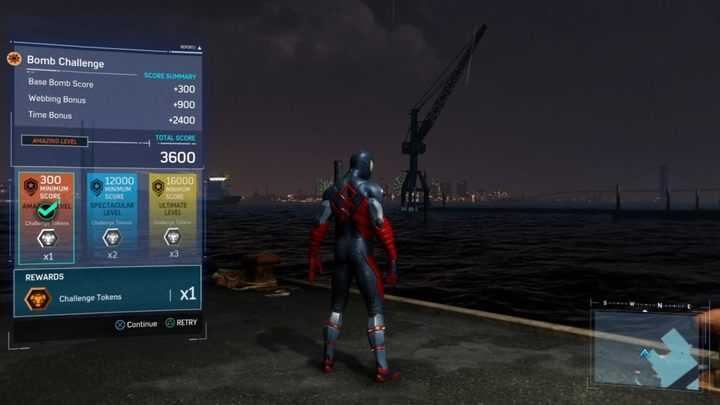 You will be rewarded with a research token that you can spend on upgrades of Spider-Man equipment. Note: If you lose a pigeon, open the map and try again – you have an unlimited number of attempts, so don’t worry about potential failure. Black Cat is a master of theft. The girl loves riddles and puzzles. 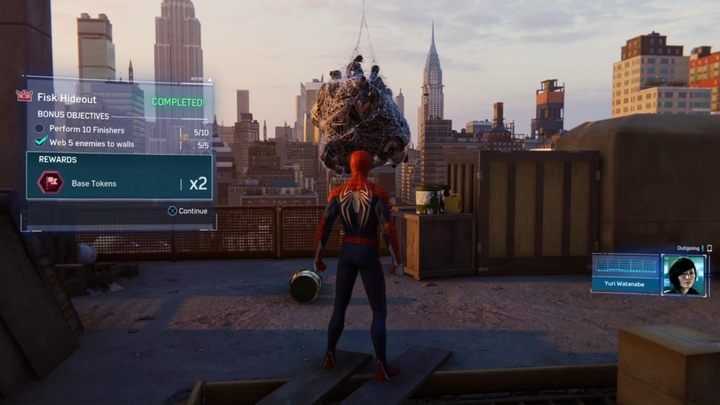 She left some toys hidden around the city – it’s up to Peter to find them and reveal her true whereabouts. Black Cat Riddles are always based on one principle – reach the telescope atop a building and use it to locate the toy. It’s not really difficult, and the game provides some tips, still. The first is a characteristic glow. The toys twinkle periodically. The other hint is graffiti – a painting is always near the toy cat. It’s really hard to miss. Completing all 12 Black Cat’s puzzles unlocks the “Cat’s Cradle” side quest. You will reach the girl’s hideout and get a special suit – the Dark Suit. 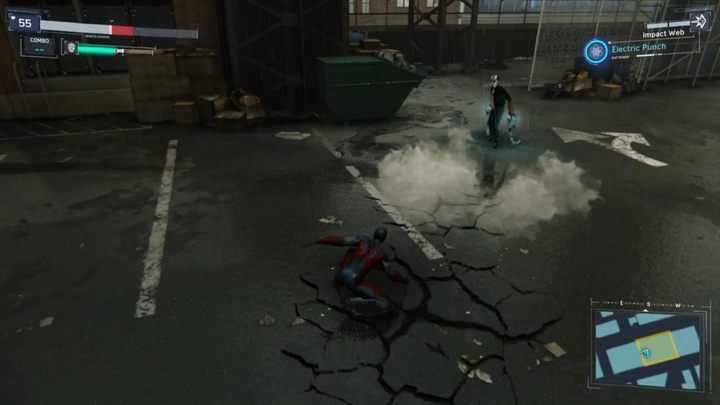 In Marvel’s Spider-Man you will encounter lots of enemies – combat is very important in the game. Those, who are not satisfied with the main storyline’s fights can indulge in clearing enemy bases. After reaching a base, you will have to fight waves of enemies. Base Tokens – you get these not only for clearing a base, but also for completing additional objectives. In order to save time, you should complete those first and only then start facing the waves. The best idea is to focus on clearing the bases towards the end of the game, when the protagonist is the most efficient in combat. 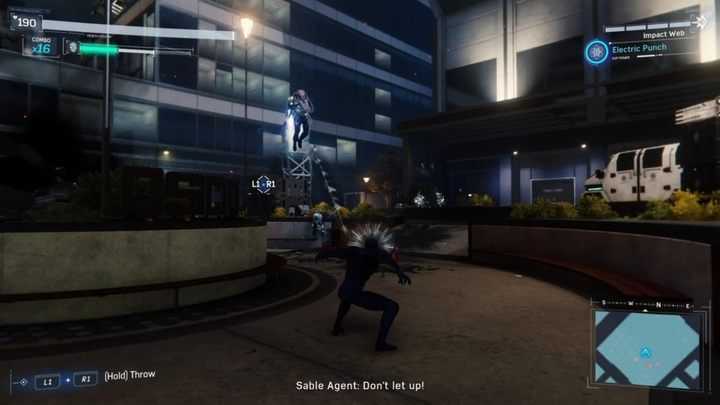 Contrary to what you might think, fulfilling the objectives isn’t very tricky – you just need the proper suit skills – for example, if you need 15 finishers, you should opt for the mod that boosts focus bar charge. 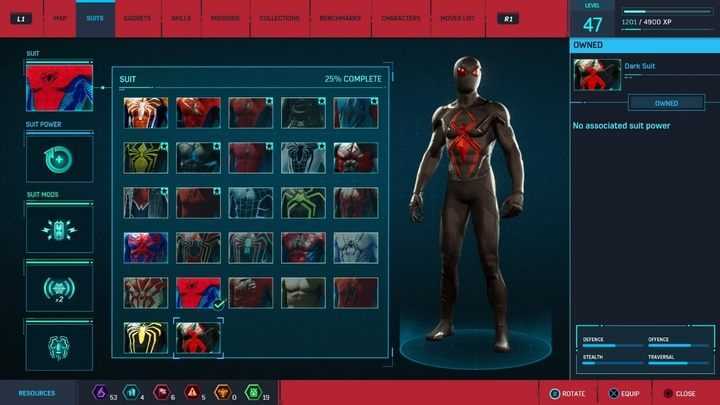 These are unlocked virtually right after the game’s prologue. You will find members of Fisk’s gang – these are the easiest bases. The enemies are rather weak and there’s not too many of them, plus there are few special types of criminals. If you need a lot of Base Tokens, start with Fisk Bases first. The mechanics here are identical to Fisk Hideouts – the difference is the fact that you will have to fight a gang of Demons. The enemies are stronger, you shall encounter more enemies and might have to fight a Demon muscleman. Once you’ve completed the Hideouts, start clearing the warehouses – they’re cleaning them is considerably easier than in the next two cases. In the second half of the game, some criminals escape the local prison and establish their camps around New York. You will find many tough enemies there – stay very mobile in these fights. Don’t get involved in fighting too many enemies. Before attacking, eliminate snipers first. The next big concern are enemies with launchers – the rockets can be avoided, but it’s sometimes difficult in the middle of the fight. You should also remember that all of these camps are on rooftops, so it’s sometimes easier to try and throw the enemies off the buildings. The Silver Sable bases are the most difficult bases in the game. First, it’s a good idea to get rid of all the towers (L1+R1). Then, you might want to get outside the fence and fight in more open space. This makes some enemies stay in the base while the rest is chasing you. If too many of them leave, just go back and reverse the whole thing. Target the enemies with jet-packs first. Copyright © 2014 - 2019 SocksCap64, All Rights Reserved. Logos, Trademarks, Pictures Belongs To Their Respected Owners. Powered By WordPress. 75 Queries in 0.448 seconds.